2 Corinthians 1:3-7 Praise be to the God and Father of our Lord Jesus Christ, the Father of compassion and the God of all comfort, who comforts us in all our troubles, so that we can comfort those in any trouble with the comfort we ourselves receive from God. 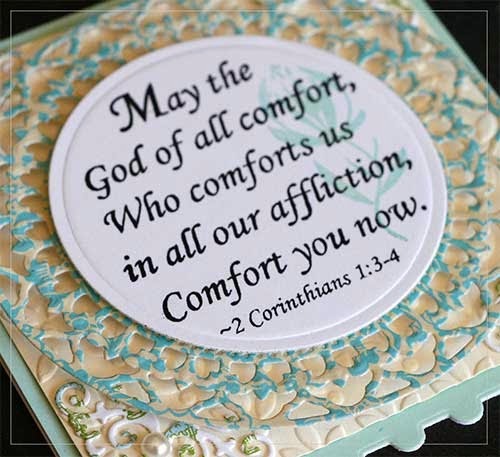 For just as we share abundantly in the sufferings of Christ, so also our comfort abounds through Christ. If we are distressed, it is for your comfort and salvation; if we are comforted, it is for your comfort, which produces in you patient endurance of the same sufferings we suffer. And our hope for you is firm, because we know that just as you share in our sufferings, so also you share in our comfort. At times in this Epilepsy journey, I find myself questioning WHY? 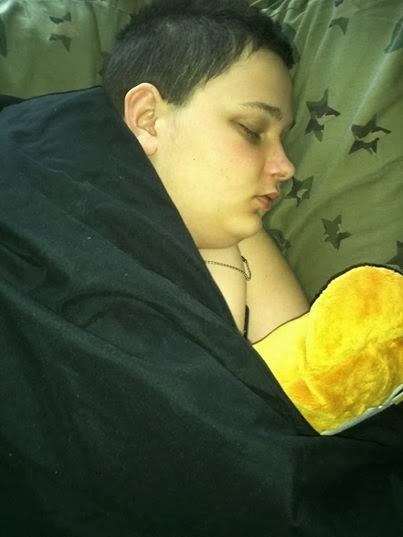 Why do my boys have to suffer like this. 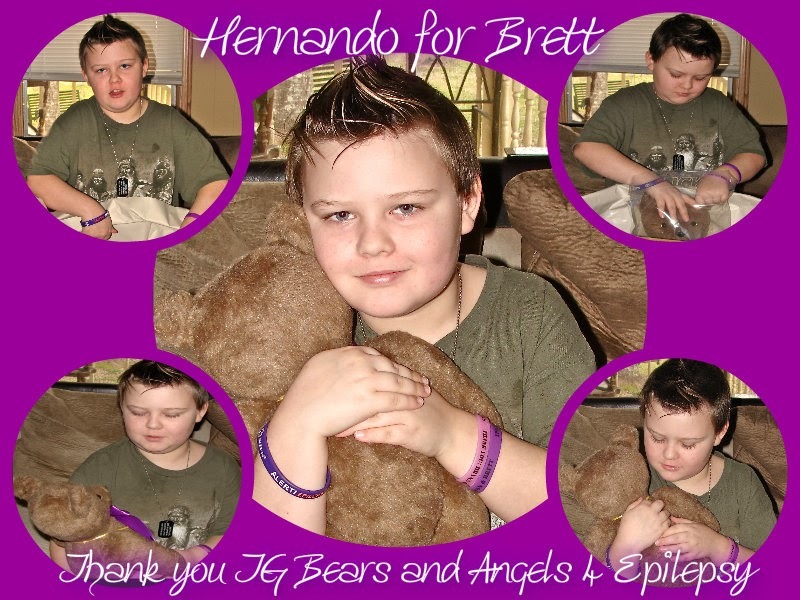 It doesn't seem fair that they have seizures, that they struggle to hold memories, that they struggle to learn. 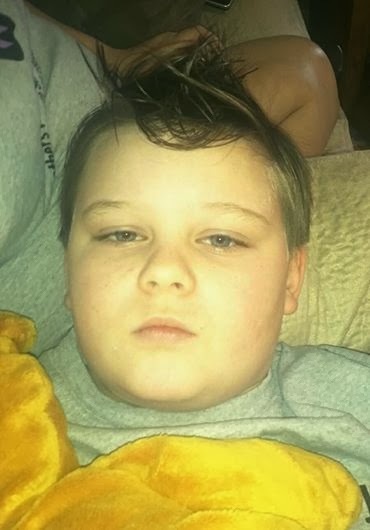 It doesn't seem fair that we have to face every day, not knowing what the day will hold, not knowing at any moment when another seizure will hit. It doesn't seem fair at all, I know it must not seem fair to them. As with most things in my life I struggle with, I think about what I would tell someone who came to me with the same struggle. The answer is simple... The Father is not going to give us all the same struggle, but every human being will struggle with something. I never imagined that we would be in this struggle. Life was so wonderful looking back, but I remember struggle then too. Of course looking back, I have to giggle at myself at the little stuff that I thought was so awful, so heavy, so overwhelming at the time. At the time it seemed like the worst, now it seems like it was no big deal. It's about perspective. We hold the ability as humans to keep a positive or negative perspective. It's difficult at times to keep a positive perspective, especially when you feel overwhelmed. The more you focus on the negative the bigger it seems and the greater difficulty you face in finding positive again. I am reminding myself daily, that the Father is still in control... and no matter how it looks or feels He has a plan. 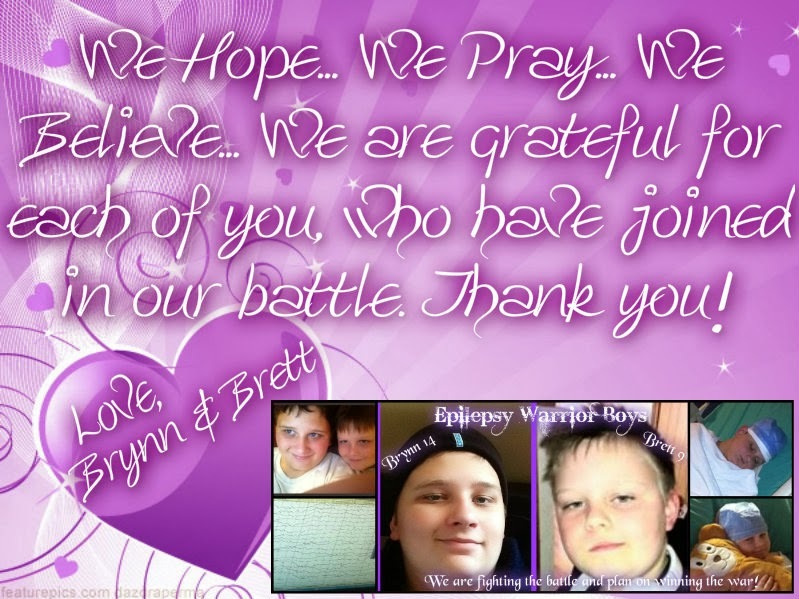 I look at Brynn and Brett, amazed at their strength and perseverance. Surely, the Father has a wonderful plan for their lives. 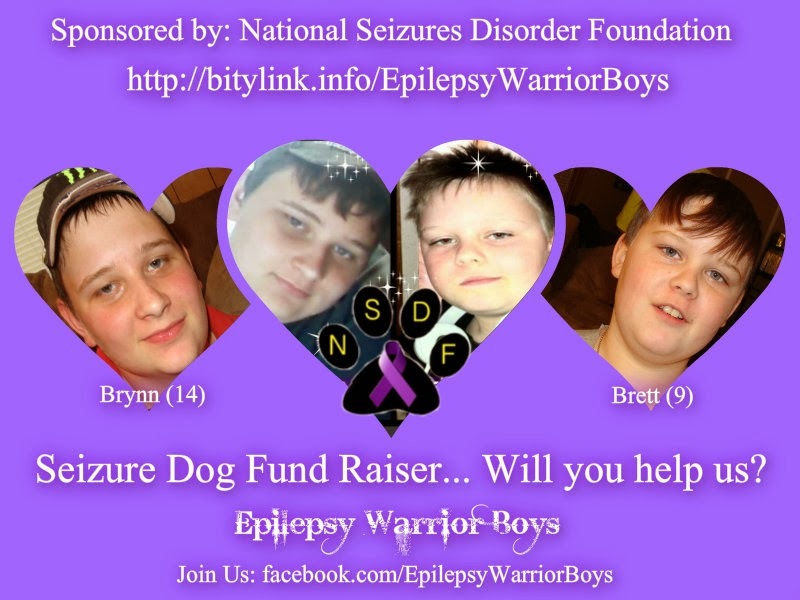 How many people will they be able to help years from now, who are struggling with seizures. 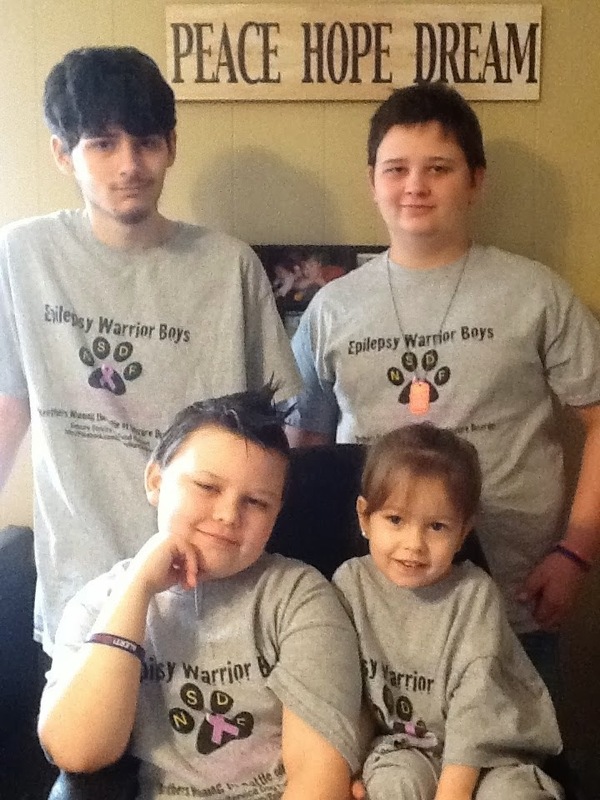 They are true Warriors, Fighting Epilepsy one day and one seizure at a time. What a wonderful testimony they will have, to stand firm one day and tell their stories. ....Back to the scripture I started with. I think people may assume that when it says comfort, that it means rescue. The Father comforts us by encouraging, strengthening you and giving you hope. When you come out on the other side you will be able to comfort others. I hope that you will be comforted, in whatever struggle you are going through. 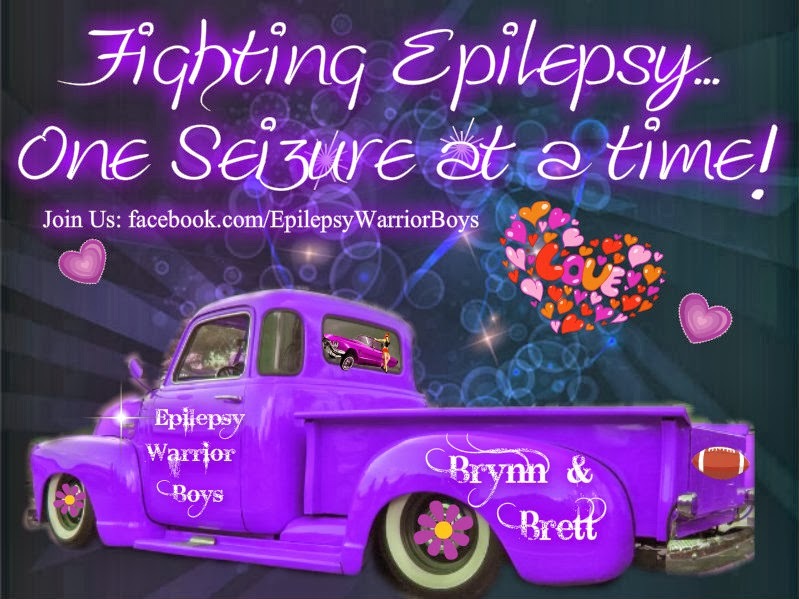 I hope that through Brynn and Brett's Epilepsy Journey, we will always find a way to see the good and focus on the positive. I HOPE for the day that we can comfort others in the same path, having overcame the struggle, the pain and the uncertainty of Epilepsy. We must remain steadfast in faith, that one day, videos like this one will no longer be recorded our home. Epilepsy Awareness Day, March 26th!